My name is T. J. Carter. 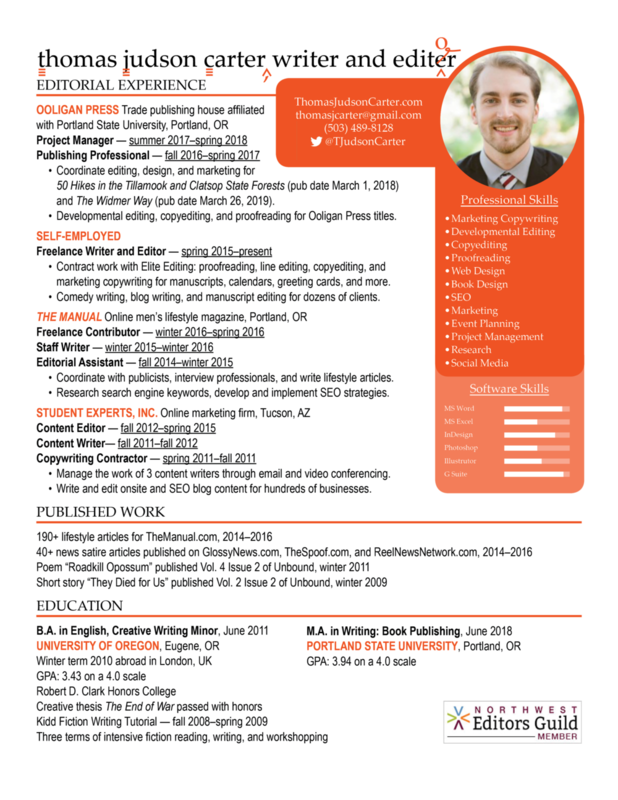 I'm a Portland, Oregon–based freelance writer and editor with more than seven years' experience with print and digital media. In recent years, my focus has been on book editing and writing marketing copy. In June 2018, I earned an MA in book publishing from Portland State University. See my resume below and explore my website to learn more about my skills and background.